V-Loc Clinical Immersion Day (Faculty). Mattu, Guildford, U.K.,2/5/2012. Laparoscopic Procedures for Theatre Personnel (Faculty).Mattu, UK, 4-5/10/2012. TLH course. Norwich, U.K., 13-14/6/2013 (Faculty and speaker). Update in Gynecologic Oncology (Speaker). Thessaloniki, 4-5/4/2014. Norwich TLH Course (Faculty and Speaker). NNUH, Norwich, U.K., 5-6/6/2014. Norwich TLH Course (Faculty). NNUH, Norwich, U.K. September 2014. ESGO Fertility preservation for Gynaecological Cancer patients (Speaker). Athens, Greece, 17-19/10/2014. 5TH International Meeting Laparoscopic Surgery for Deep Infiltrating Endometriosis (2 video presentations). Athens, Greece, 5-7/12/2014. Advanced Laparoscopy Course in Gynaecological Oncology (Faculty and Speaker). NNUH, Norwich, U.K., 12-13/5/2015. 5th Panhellenic Congress of Gynecologic Endoscopy (Speaker). Athens, 27-28/2/2015. Laparoscopic Surgery in Gynecologic Oncology (Speaker). Leto, Athens, 24/3/2015. Surgical Evolutions in Gynecologic Oncology and Quality of Life (Speaker). Athens, 20-21/11/2015. MISGO endorsed by ESGO (President and Speaker). Athens, 20/2/2016. 3rd Panhellenic Congress of the Union of Greek Obstetricians and Gynecologists (Speaker). Athens, 6-8/5/2016. Msc in Human reproduction (Speaker). Alexandroupoli, 10-12/6/2016. Laparoscopy or Laparotomy in Endometrial Cancer? (Speaker). Mitera, Athens, 27/10/2016. The role of the tumor board (Speaker). Rea, Athens, 15/12/2016. 2nd Congress on breast and gynecological cancer (Speaker). Athens, 16-17/12/2016. Laparoscopic management of ovarian lesions (Chair). Rea, Athens, 16/3/2017. Breast and Gynecological Cancer. From gene to therapy (Speaker). Athens, 18-20/5/2017. 2nd MISGO (President and Instructor). Athens, 25-27/5/2017. 8th Panhellenic Congress (Speaker). Athens, 15-16/9/2017. Msc in Human reproduction (Speaker). Alexandroupoli, 20-22/10/2017. Laparoscopic management of Endometrial Cancer in obese women (Speaker). Rea, Athens, 16/11/2017. 3rd Congress on breast and gynecological cancer (Speaker). Athens, 15-16/12/2017. From Puberty to Menopause (Speaker). Larisa, 16-17/12/2017. Advanced Course in Gynecologic Laparoscopy (Speaker). Athens, 26-19/1/2018. 9th Seminar in Clinical Oncology (Speaker). Athens, 1-3/2/2018. Laparoscopic management of Endometrial Cancer in obese women (Speaker). Leto, Athens, 13/2/2018. Surgical management of advanced ovarian cancer. Primary and interval debulking (Speaker). 6th Scientific Forum. New drugs in oncology, Athens, 10-12/5/2018. The role of laparoscopic and robotic surgery in endometrial cancer (Speaker). 14th Panhellenic Congress of Obstetrics anf Gynecology, Athens, 31/5-3/6/2018. The role of surgical management of recurrence in ovarian cancer (Speaker). 3rd Masterclass in Gynecologic Oncology, Athens, 9/6/2018. Surgery in advanced ovarian cancer (Speaker). 11th Congress on Women’s Health Disease, Athens, 6-8/9/2018. Evidence on laparoscopic approach to cervical cancer (Speaker). Cervical pathology and colposcopy, Ioannina, 9-11/11/2018. Imaging vs laparoscopy for prediction of resectability in ovarian cancer (Speaker). 4th Congress on breast and gynecological cancer, Athens, 14-15/12/2018. Subserosal uterine injection of blue dye for the identification of the sentinel node in patients with endometrial cancer: a feasibility study. Biliatis I, Thomakos N, Koutroumpa I, Haidopoulos D, Sotiropoulou M, Antsaklis A, Vlachos G, Akrivos N, Rodolakis A. Arch Gynecol Obstet. 2017 Sep;296(3):565-570. The impact of ultra-radical surgery in the management of patients with stage IIIC and IV epithelial ovarian, fallopian tube, and peritoneal cancer. Turnbull HL, Akrivos N, Wemyss-Holden S, Maiya B, Duncan TJ, Nieto JJ, Burbos N. Arch Gynecol Obstet. 2017 Mar;295(3):681-687. Investigating vaginal bleeding in postmenopausal women found to have an endometrial thickness of equal to or greater than 10 mm on ultrasonography. Turnbull HL, Akrivos N, Simpson P, Duncan TJ, Nieto JJ, Burbos N. Arch Gynecol Obstet. 2017 Feb;295(2):445-450. A pilot study of robotic uterine and vaginal vault manipulation: the ViKY Uterine Positioner. Akrivos N, Barton-Smith P. J Robotic Surg. 2013;Apr 11. Fertility sparing surgery for early cervical cancer. Iavazzo C, Madhuri K, Akrivos N, Tailor A, Butler-Manuel S. JBUON. 2013 Apr-Jun;18(2):548-9. Serum CA125, CA 15-3, CEA, and CA 19-9: a prognostic factor for uterine carcinosarcomas? Thomakos N, Rodolakis A, Zagouri F, Sotiropoulou M, Akrivos N, Haidopoulos D, Papadimitriou CA, Dimopoulos MA, Antsaklis A. Arch Gynecol Obstet. 2013 Jan;287(1):97-102. Sister Mary Joseph’s Nodule as a First Manifestation of Primary Peritoneal cancer. Iavazzo C, Madhuri K, Essapen S, Akrivos N, Tailor S, Butler-Manuel S. Case Rep Obstet Gynecol. 2012;Oct 24. Merkel cell carcinoma in pelvic lymph nodes after surgical staging for endometrial cancer: A case report and review of the literature.Thomakos N, Zacharakis D, Akrivos N, Zagouri F, Simou M, Bamias A, Dimopoulos MA, Rodolakis A, Antsaklis A.Int J Surg Case Rep. 2012 Apr 5;3(7):340-342. Amazing pelvic inflammatory disease…. 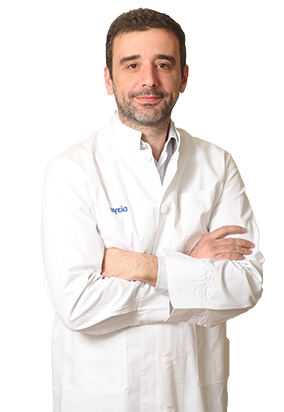 Akrivos N, Partsinevelos G, Simou M, Biliatis I, Loutradis D, Antsaklis A. J ObstetGynaecol. 2012 May;32(4):411. Safety of hormone replacement therapy in gynaecological cancer survivors. Biliatis I, Thomakos N, Rodolakis A, Akrivos N, Zacharakis D, Antsaklis A. J ObstetGynaecol. 2012 May;32(4)312-5. Endometrial stromal sarcoma arising from endometriosis of the terminal ileum. The role of immunohistochemistry in the differential diagnosis. Biliatis I., Akrivos N., Sotiropoulou M., Rodolakis A. Simou M., Antsaklis A.The Journal of Obstetrics and Gynaecology Research.2012 May;38(5):899-902. Abdominal radical trachelectomy for treatment of deep infiltrating endometriosis of the cervix. Rodolakis A., Akrivos N., Haidopoulos D., Kyritsis N., Thomakos N., Biliatis I., Simou M., Antsaklis A. The Journal of Obstetrics and Gynaecology Research.2012 Apr;38(4):729-32.